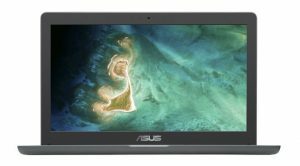 Asus has revealed a new range of “education-ready” Chromebooks and a Chrome OS tablet. The C204 and C403 will be traditional clamshell laptops, coming in 11.6-inch and 14-inch sizes respectively, while the C214 will be a 14-inch convertible. 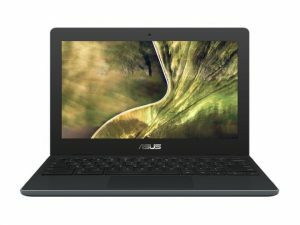 The new series features durability, spill- and tamper-resistant keyboards and all-around rubber bumpers to withstand bashes and bumps Asus believes the kids of today will inflict on the devices. Coming with a dark grey finish rather than the bright and breezy white and blue of the predecessor, it will feature a thinner design (292 x 199 x 195mm, 1.2kg), but be able to withstand a drop of 1.2m when flat or 80cm when dropped on its sides. The C403 features the same design as the C204 but features a much larger 14-inch HD non-touch enabled display instead. It too will be powered by an Intel Celeron processor, come with 4GB of RAM and 32GB of onboard storage. Offering you option of laptop or tablet, the C214 will come with virtually identical specs to C204 but with the option of flipping the screen around to treat it as a tablet when you need. That includes the Intel Celeron processor, 4GB of RAM and 32GB onboard storage. The information for this post was taken from an article by Stuart Miles in Pocket-lint, follow this link for the complete article and more details. Here are some additional sources to get different viewpoints on this new model: KLGADGETGUY, androidcentral, 9TO5Google, EXTREME TECH, and liliputing.